If I switch to a user with edit permissions on the data, this problem goes away. These are the options I am using. Is there a way to make this work? Can I get this data offline without granting edit permissions? To create a replica, the user/data owner must have write permissions to the child database. After the replica is complete, a different, read-only user can publish the services. I am not sure how I would Create the Replica then publish the service. 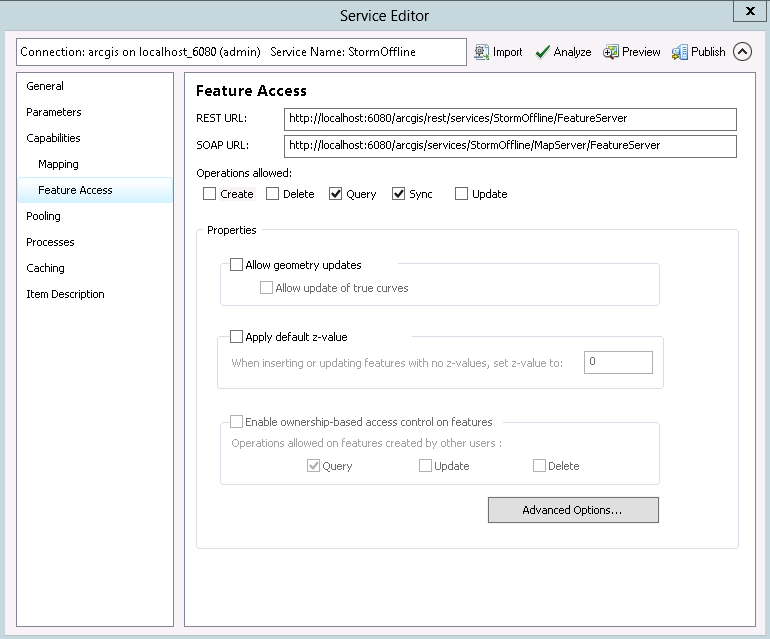 I think I first have to publish the Feature Service then I can use one of the above methods against that FeatureService.